College is a great, fun, adventurous time. You’re independent, young, and free and you think you’re going to live forever. However, that’s no reason to be careless, especially when it comes to your safety. Here are a few good tips to keep in mind. Some colleges have local police stations and fire departments on campus that have special phone numbers (instead of the general line, 911). Calling these numbers will get you faster and more specific help in case of an emergency. Make sure you have these numbers saved in your phone. You should also know where they are located if they are on your campus, in case you are unable to call. Nowadays, everyone’s contact information is accessible with a click of a few buttons. It’s a given that you should have your parent’s and your own phone number memorized, but it’s worth it to expand this inventory a little further. Memorizing the phone number of a reliable, trustworthy friend can really save your bacon if you’re stuck in a situation where you need some help. Maybe your phone died and you need to contact someone. Who’re you gonna call? Probably not the Ghostbusters, but a good friend can be just as helpful. Your RA is there for you. Having a good relationship with your RA can provide you with a knowledgeable contact on campus who is there to help you if you need it. They are someone you can confide in and reach out to if you’re in trouble. They are a treasure trove of resources and know a ton of the ins and outs of college, so they can almost definitely get you the help that you need. Your mental health is just as important as your physical health. College can be a stressful transition. There’s more responsibility, a greater course load, and different kinds of pressures from all sorts of places. It’s vital that you keep your body AND your mind healthy. Some colleges offer relaxation days or destress days at their clinics, which are open to all students. Taking time out to visit these clinics can help you achieve a balance in your life and keep your psyche safe. Some schools will offer health insurance and others insist that you have your own. No matter what the policy is, make sure you are covered. It’s strange having to think about these “adult” things, but you’ve got to start your adult life right. If you’re in an accident, some private hospitals can turn away patients if they don’t have insurance. You do not want to be stuck in that kind of situation. This goes for everyone, boys and girls. Make sure you have a friend, or at the very least, someone who knows where you are or where you are going to be and when. 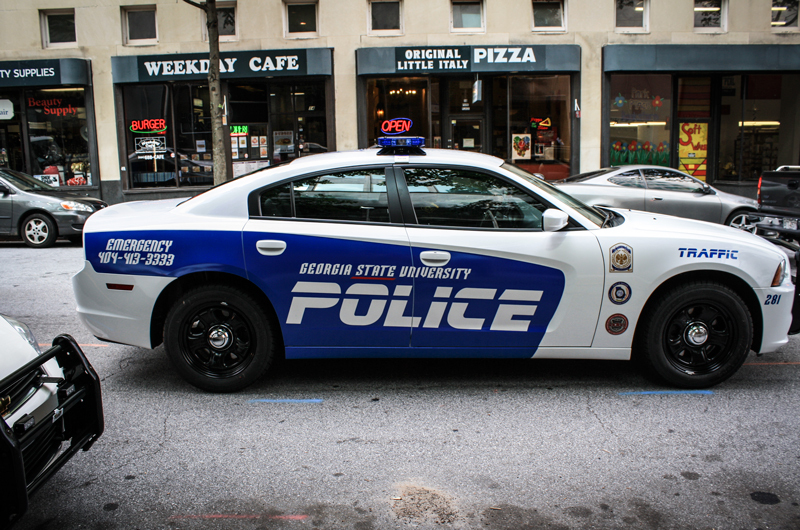 Some campuses, especially very large ones, can be difficult to patrol and keep safe. Know the danger areas and steer clear. Anyone can be attacked. Some schools will ask you to complete a mandatory course, either online or in person, so that you are aware of the risks involved with drinking. They also give valuable information on standard drinks and factors which can increase alcohol content in the body. Knowing these things can help you drink responsibly and be safe, when you are of age, of course! It doesn’t have to be anything fancy, but learning self-defense, even if it’s just a few key moves, can really help you if you’re in a situation in which you need to defend yourself. It can also be extremely empowering and rewarding. Many schools will offer quick classes or demonstrations, taught either by outside professionals or the local police force. One should always be ready to defend themselves. Keeping a few items in a bag, backpack, or pocket can really come in handy when in an emergency. If you should be attacked and cannot practice physical self-defense, using a small can of pepper spray or swiping with your keys or pocket knife can give you those few valuable seconds to create distance between you and your attacker and get help. These days, most phones come with apps, or have the software to support apps which contain personal information which can be accessed in an emergency. For example, the iPhone has the Health app, in which you can input your details into a Medical ID emergency card. First responders can then see your critical medical information right from your locked screen and take the necessary measures to get you the assistance you need.